It had been a couple of tough days for our group on Rainy Lake. For some reason, we couldn’t seem to zero in on an early summer pattern that would provide consistent walleye action for our anglers. In an act of desperation, I suggested to a couple of people that we should try something different. I thought perhaps there might still be some northern hanging in the shallow bays and we could target these fish for a morning instead of stubborn walleye. As we motored into a bay, I explained the concept we would be using to trigger our fish. We would be fishing suspending, shallow running jerk baits over the tops of the weeds. However, instead of a cast and retrieve approach, we would utilize a twitch and pause technique. Twitch baits, such as Husky Jerks and Salmo Sting, can be very effective lures. The success of our morning operation surprised even me. I had no idea the size and quantity of the fish we would find in just that one bay. Since that Rainy Lake adventure from 15 years ago, I continue to be impressed with the fish catching ability of twitch baits. They aren’t a solution for every fishing outing, but they can be very productive in some situations. The key to successfully catching fish with this type of approach is to understand the presentation. Predator fish love the chance to target an easy meal. That is what live bait fishing and bobber fishing is all about. Fish hit a struggling minnow because it is food that is too easy to pass up. Twitch baits appeal to the instinct predator fish have of looking for an easy meal. With the twitch and stop retrieve, the lure is mimicking a struggling baitfish. The twitch of the retrieve is created by a rod snap that will make the lure jump erratically. When done properly with a good bait, the lure will dart from side to side with each twitch. As a general rule, I will make two to four twitches and then pause. The suspending lure will sit quietly in the water and not sink or rise to the surface. This is an important part of the appeal as many of the strikes come on the pause. 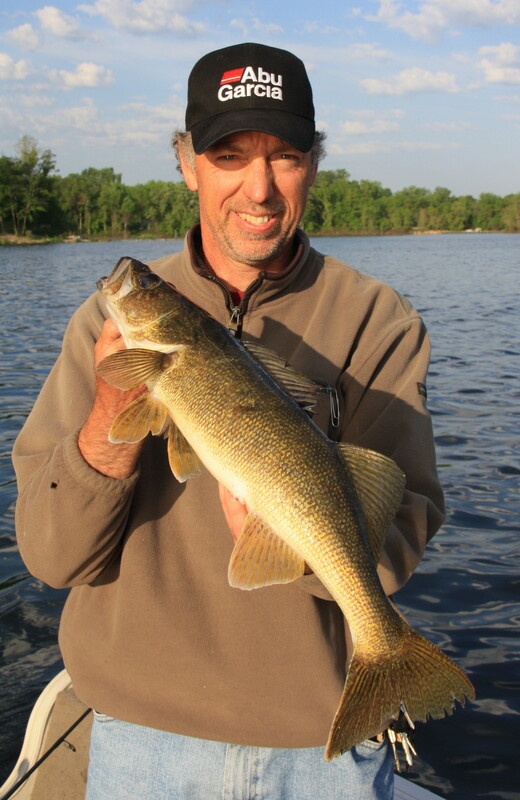 On a recent trip with a couple of angling friends, we targeted walleye using twitch baits. On a previous outing, these two companions had discovered walleye lounging in a weed bed in 6-10 feet of water. By working our lures over the weeds, we were able to bring the walleye up to engulf our baits. I must admit, I am normally targeting bass and northern when working twitch baits. However, if walleye want to hit lures presented in this manner, I have no problem with that! As a general rule, I do not use a steel leader with this presentation unless the northern are causing a serious bite off problem. I also believe mono works better than the super braids on many days. St. Cloud angler, ROger Bzdok, holds a nice walleye that hit a twitch bait fished over the top of weeds. As for the size and color, I like four to five inch suspending lures with dark tops and an orange stripe on their belly. Sometimes Clown is a good pattern. 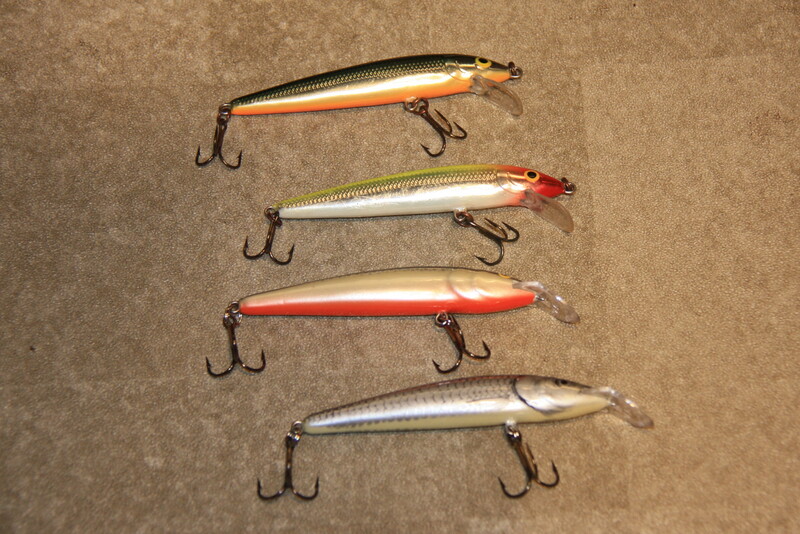 The Rapala Husky Jerk and the Salmo Sting are both good options. The perfect lure for catching fish in all situations does not exist. For that reason, it makes sense to be familiar with a variety of presentations. Under the right conditions, twitch baits can lead to some pretty awesome action. 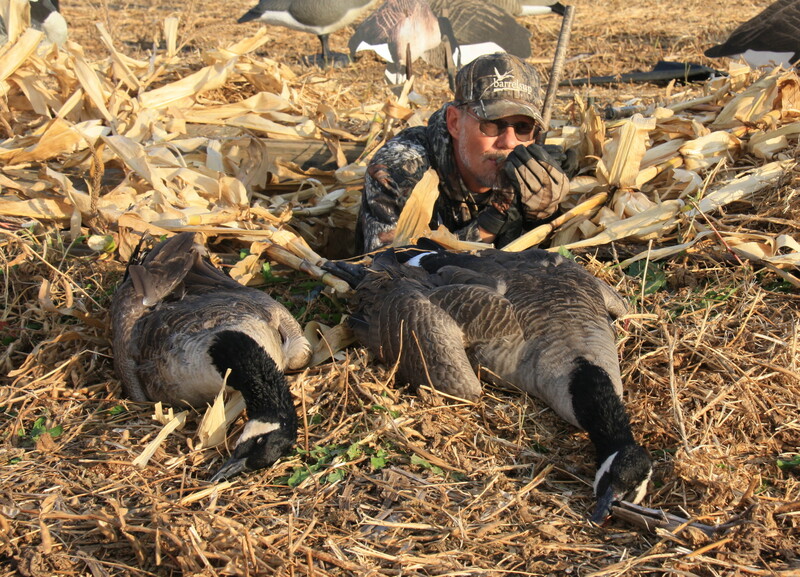 Jay Carlson from Springfield, Missouri with a few of the day's birds. It was the last day of our Arkansas snow goose hunting adventure with Goose and Duck Smackers Guide Service. The early morning rain that had been promised by the weatherman had not yet arrived. However, the leading edge of the clouds was present making for a spectacular red and orange sunrise. As the guides finished the last minute preparations in the decoy spread, our group of hunters readied our blinds and prepared ourselves for whatever the day would bring. For the previous three mornings, the early flight had been memorable and we were hoping for more of the same on day four. Although the cloud cover helped attract some flocks to our spread, the total lack of wind made finishing these birds difficult. After a few high passes, the game was up and they moved on to other locations. We all saw the large group of birds approaching us from our right. They were unusually low and at first we figured they were specs. As they closed the gap it became apparent they were snows and we readied ourselves for the upcoming opportunity. Thanks to the experienced guides that set the decoys, these birds centered perfectly and came over our party at 35 yards. When the shot was called, there was no shortage of targets and birds started dropping in earnest. When the dog finally found the last goose, we had a total of eight birds for our first volley. That was definitely a good start to the day. Arkansas snow goose hunting was a new experience for our group. Instead of waiting for the migration flight in Missouri and South Dakota, we opted to travel south to where many of the birds winter and the initial staging for their trek north takes place. 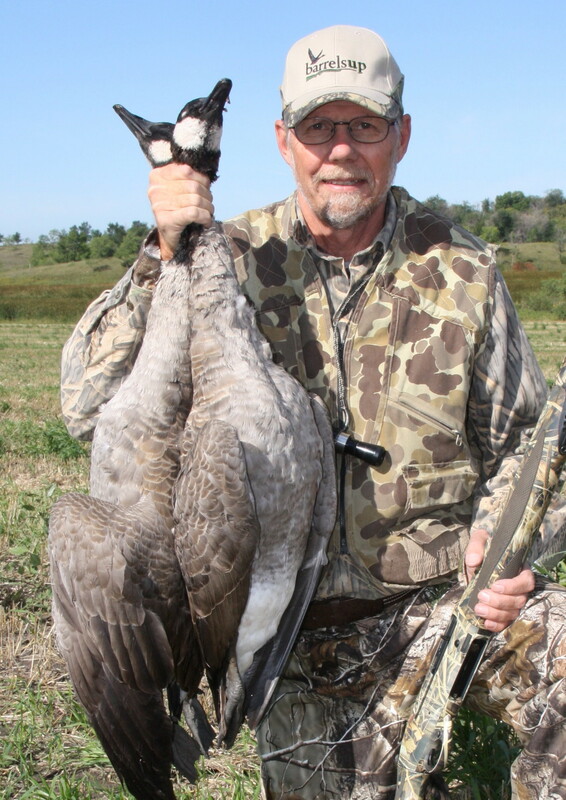 According to Brian Cahalan, owner of the guide service, being able to hunt the staging areas in February meant more opportunities for juvenile birds. Juvenile birds are much less wary than adults and often make up the bulk of the hunter harvest. That was certainly the case with our crew as the young birds accounted for more than 50 percent of our take. Sunrises are even more spectacular when witnessed from a goose spread. Although there were many memorable aspects of our hunting trip, the lodge life was a hit with everybody. Being able to share accommodations with the guides and other hunters gave us the opportunity to tell stories and relax in comfort. Not having to cook or go out for meals was also a huge bonus. Even though I have been involved with many snow goose hunts, I continue to find the outings extremely enjoyable. The unique way snow geese approach the spread from above makes this style of hunting a very visual experience. Snow geese are rarely in a hurry to set down in a spread. 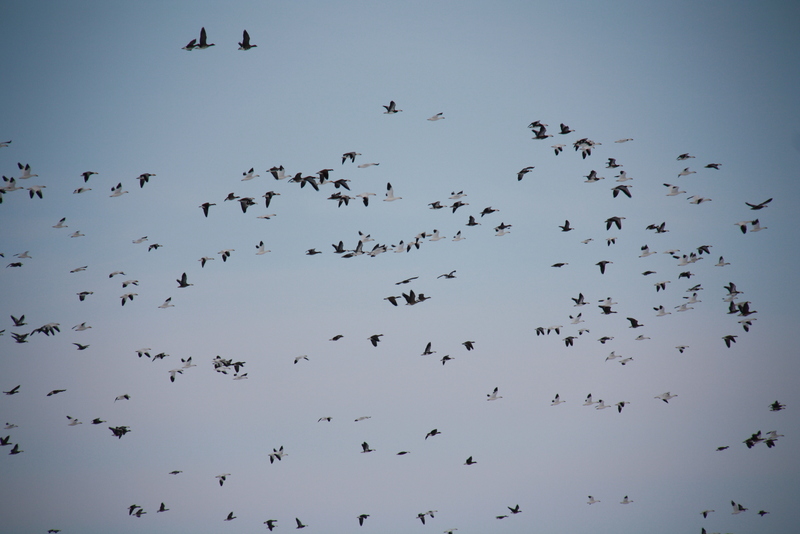 Instead, they will circle high above the decoys and only come lower if they see something they like. Many times the adult birds will make a dozen passes before they decide what they want to do. Hunters will also witness large flocks of a thousand or more birds working their way north. These high flyers are not interested in eating and won’t miss a wing beat as they pass over your spread. However, they are still a thrill to see. The spring snow goose experience is very unique. It is an opportunity to witness incredible numbers of birds as they move to their summer nesting grounds in the far reaches of Canada. It is also an opportunity to participate in the Conservation Order that is designed to reduce the overall population. Part of the thrill of hunting snow geese is watching the big flocks work your spread. It seems like everybody has a passion for some type of outdoor adventure. For many, bird hunting ranks at the top of the list. And, when it comes to bird hunting, it is hard not to love the spring snow goose migration. It has been more than a dozen years since a Conservation Order was put into place to reduce the population of snow geese in North America. These birds have become so plentiful they are endangering their tundra nesting areas in Northern Canada. The reason the nesting habitat is being destroyed is a twofold problem. First, snow geese love the roots of the plants that grow in this frigid climate and they use their beaks to rip up the ground to get at the roots. Secondly, with the short growing season, plant re-growth is a slow process on the tundra. In reality, the geese are literally eating themselves out of house and home. Chad Allen from Barrels Up shopping site holds some of the day's harvest. The Conservation Order was an effort to slow the growth of the continental goose population. It was hoped that liberal limits, electronic calls, and unplugged shotguns would be able to substantially reduce the snow goose population. Unfortunately, the Conservation Order did not totally fix the population dilemma. However, it has helped. It has also opened up a whole new opportunity for outfitters and hunters to participate in a phenomenal hunting experience. Over the past four years, I have had the chance to hunt snow geese in Missouri and South Dakota. These hunts have always taken place in March and have been enjoyable and productive. Although I am still planning on hunting the migration in South Dakota, I am also planning a trip to Arkansas in February. It was during a South Dakota hunt with Brian Cahalan from Goose and Duck Smackers Guide Service (gooseandducksmackers.com) that I first learned about snow goose hunting in Arkansas. Although Cahalan follows the migrating geese through Missouri and South Dakota, he spends a month in Arkansas first. According to Cahalan, the Arkansas hunt is a little different than hunting migrating snow geese in other states. Many of the snow geese in Arkansas actually winter in the area. Others are moving in as they begin staging for the migration process. Cahalan claims that for most of the month the geese are quite content to feed in the rice fields. Cahalan likes the way geese decoy in Arkansas. He believes targets are generally closer during the early stages of the season than later in the spring. He also likes the fact there are plenty of juveniles around. Young birds are easier to decoy than the wary adults. Cahalan also stated there are fewer outfitters in Arkansas which means less pressure on the birds and more success in the field. His standard set of 1200 decoys gets plenty of attention. 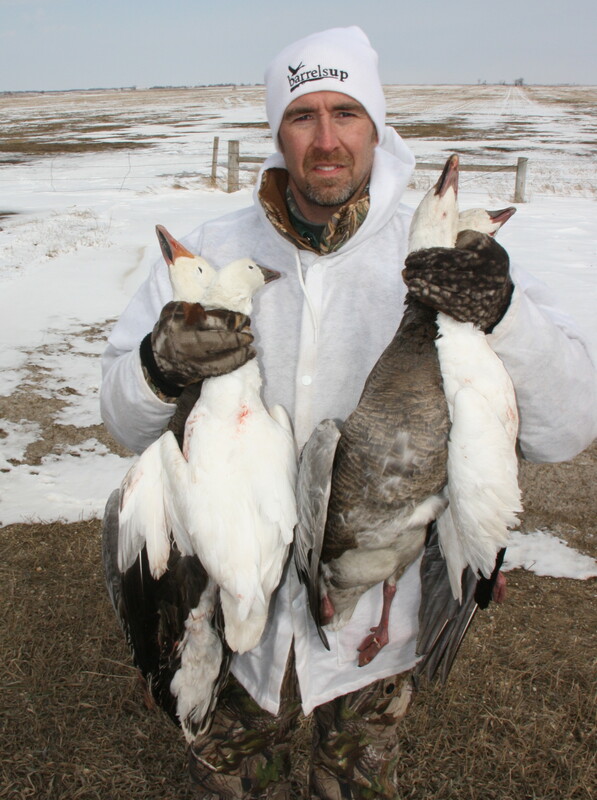 North American snow goose populations are estimated to be over 5 million. Any way you cut the pie that is an incredible number of birds. With the Conservation Order in place again this year, hunters will be working hard at taking out a few of the millions of geese that come north each spring. 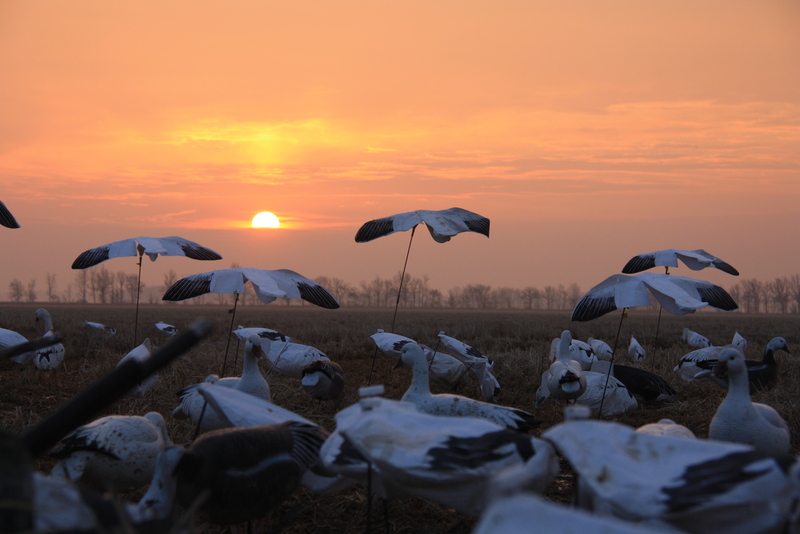 Although there are plenty of opportunities to hunt snow geese, the February start in Arkansas may offer a unique early hunting experience to help chase away those winter blues. It seems like I am always searching for time to participate in things I like to do. Schedules and deadlines have a way of creeping into the mix and forcing me to backburner some of my favorite activities. The day-to-day events we call life forces us all to compromise and prioritize. 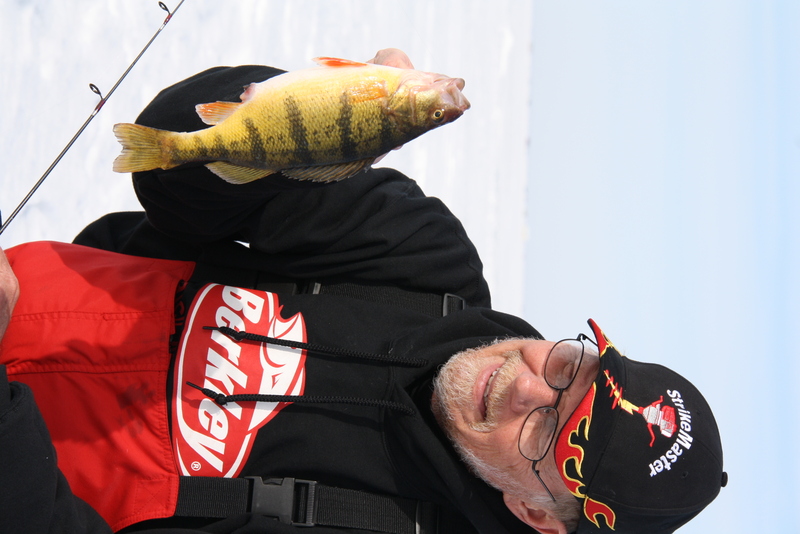 Chasing jumbo perch is a favorite winter activity for many anglers. When it comes to putting things in order of importance, I have gradually been moving perch fishing higher up on the list. It isn’t that I haven’t always enjoyed chasing perch, it just seems like it is more fun than it used to be. I am not the only one that feels this way about the lowly perch. It doesn’t seem to matter where you go or who you talk to, perch fishing questions and comments always seem to surface. One of the reasons perch are becoming more popular has to do with their eating habits. They are usually daytime biters and can be caught on a variety of gear. They are also scrappy fighters for their size. Perch are excellent table fare. Although their tough scales make them more difficult to clean than other fish, their taste and texture on the plate is hard to beat. Perch limits are also quite generous. In Minnesota, the limit is 20 a day with 40 in possession. Finding a lake to chase perch on is not very hard. Most big-water walleye lakes have a healthy population of jumbos. Perch activity is a normal part of the reporting process for websites. My favorite perch lake is Mille Lacs, located in Central Minnesota. This 132,000 acre body of water is home to a very healthy population of jumbo perch and is definitely becoming one of the premier perch waters in the area. I have to admit that I cheat just a little when I head to the big water. In an effort to get the latest information about the perch bite, I check in with Mike Christensen from Hunter Winfield’s Resort in Isle. 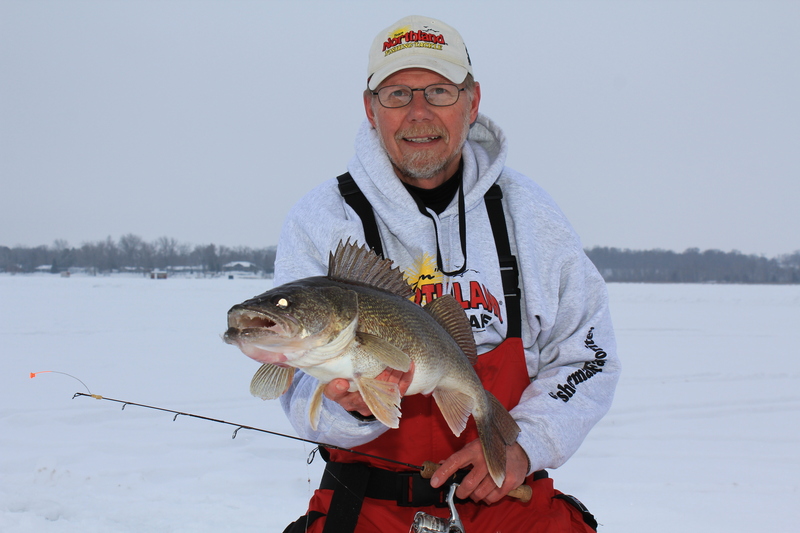 As part of his ownership responsibilities, Christensen guides winter anglers for both walleye and perch. Since he is on the ice every day, I can get a pretty accurate report about where to go and what to use. Mike Christensen's clients know perch are excellent table fare with a taste that is hard to beat. 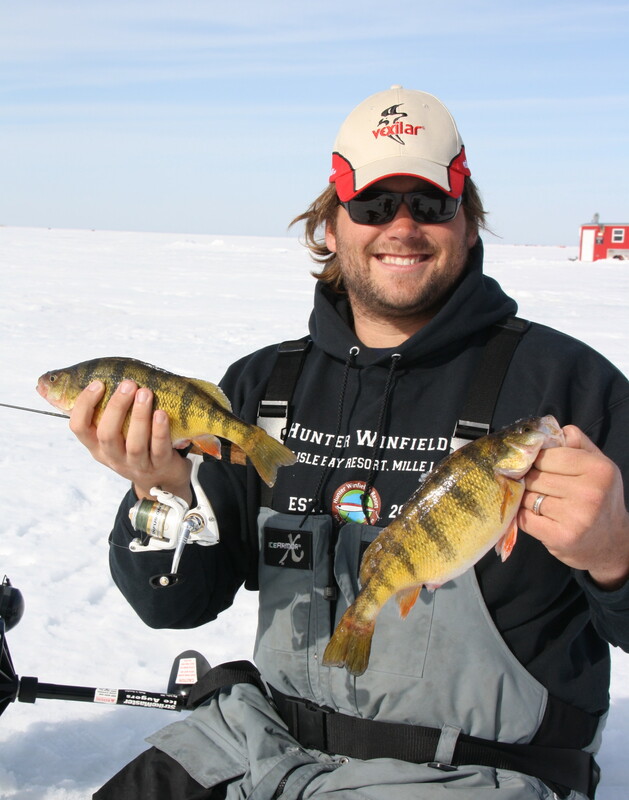 Although Christensen’s clients catch perch all winter long, he believes the best action starts to set up after the first late winter thaw. This thaw triggers an insect larvae feeding binge that starts the spring migration to spawning grounds. From my experience, the bite can range from incredible to fussy. When the fish are fussy, I have found that neutral colored jigs, such as Woodtick Bro Bugs tipped with Euro larvae are hard to beat. Scaling down to two-pound-test Berkley Micro Ice can also make a difference. In addition to presenting good looking baits, Christensen believes that bottom consistency is an important part of the equation. He feels transition areas where gravel turns to mud are ideal. He also emphasized the need to be mobile. Perch travel in large, loose schools and may have to be tracked down. Winter jumbo perch fishing is high on my list of favorite activities. Although there are days when the bite can be challenging, there are also times when the action is nothing short of phenomenal. Either way, I will prioritize several jumbo perch trips into my schedule this winter. Good electronics allow you to keep your bait at the same depth the fish are at. Like every other angler, I am very skilled at storing fishing events in my memory bank. I keep thinking that one of these days the memory vault will be full, but it hasn’t happened yet. When it comes to retrieving memories, some are easier to find than others. One event that often crosses my mind taught me a lesson on the relationship between proper equipment and utilizing electronics. Let me explain. It was several years ago that I found myself fishing a deep basin crappie bite on a cold morning during the early ice period. The fish were willing biters but were such roamers it was hard to keep up with them. They also changed depth according to their location in the basin. After drilling many holes, I attempted to follow them and was somewhat successful as I pulled out a fish every now and then. Even though my success wasn’t impressive, I did eventually attract another group of anglers that rode in on four-wheelers. They were very courteous and drilled their own holes instead of using mine. They also had a couple of Vexilars and soon located fish. The problem was they were using bobbers and not tightlining. I watched their frustration mount as they kept adjusting the depth of the float to match the level of the fish. About the time they got the float set, the fish were gone. In the meantime, I continued to pop a few more slaps which only added to their misery. I was sure they would eventually see the madness in their method and get rid of the bobbers, but they didn’t. Instead, they insisted on fishing with floats even if it meant not catching anything. There are times when working a float system for crappie is ideal. However, there are also times when a float presentation simply is not as efficient as a tightline presentation. A lot of it comes back to the use of electronics. A Vexilar is a really important tool for locating winter fish. However, it is also a tool for keeping your bait in front of the fish after you find them. A classic example of this happened to me last winter. I was fishing for photo caliber crappie with photographer, Brad Veenstra. The fish we were targeting were about 40 feet down in 50 feet of water. I was watching my Vexilar when I noticed a heavy red line come onto the screen at 30 feet. Since I was tightlining, all I had to do was turn the crank a few times and I had my bait in front of this red mark. A second later, I had very respectable fish on the line. Photo by Brad Veenstra. Being able to quickly adjust the depth helped snag this nice walleye. very plump walleye. Without utilizing quality electronics and fishing a bobberless tightline presentation, this is a fish I probably would never have caught. 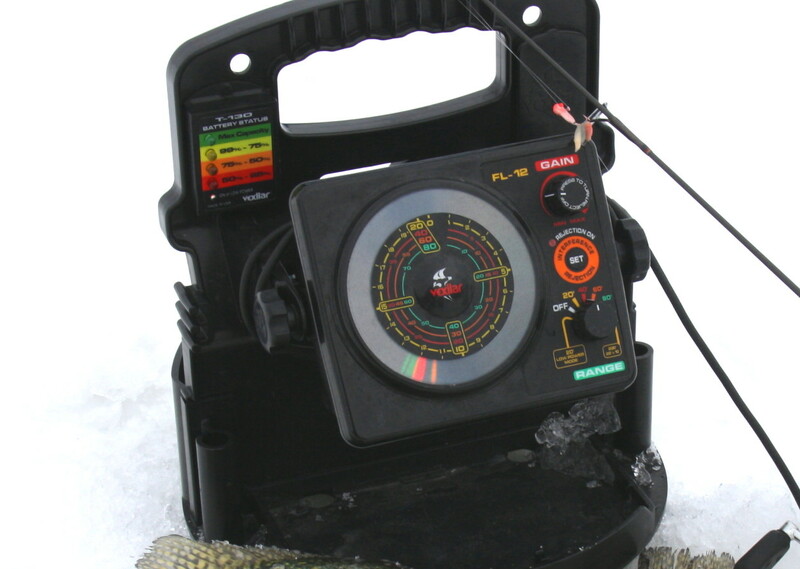 Those that fish with electronics know how important they are to winter success. They allow anglers to read depth, bottom consistency and locate fish. However, they also allow anglers to match up their bait to the exact depth the fish are at. Being able to keep your lure in the fish zone is what winter fishing is all about. Choosing the best presentation for the conditions will maximize your success. Jerry Carlson calling from a pit blind. 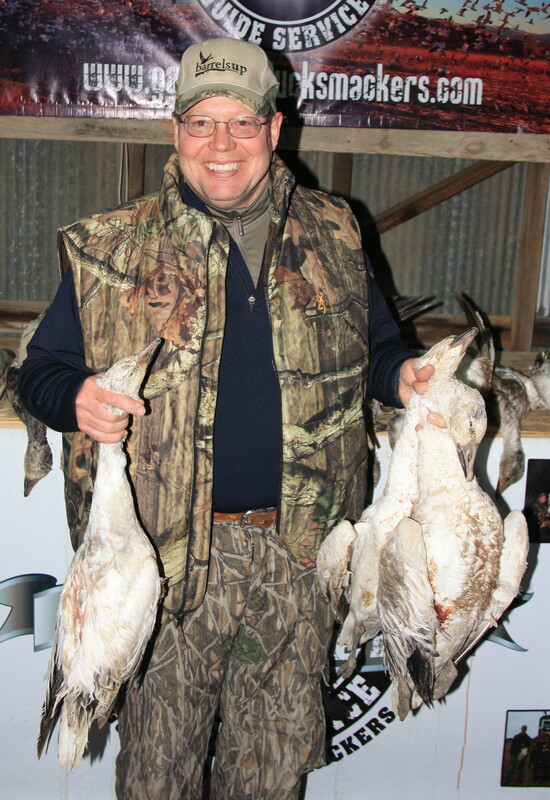 I received a call from hunting enthusiast, Brian Corrigan, inviting me to join him for an early morning goose shoot. 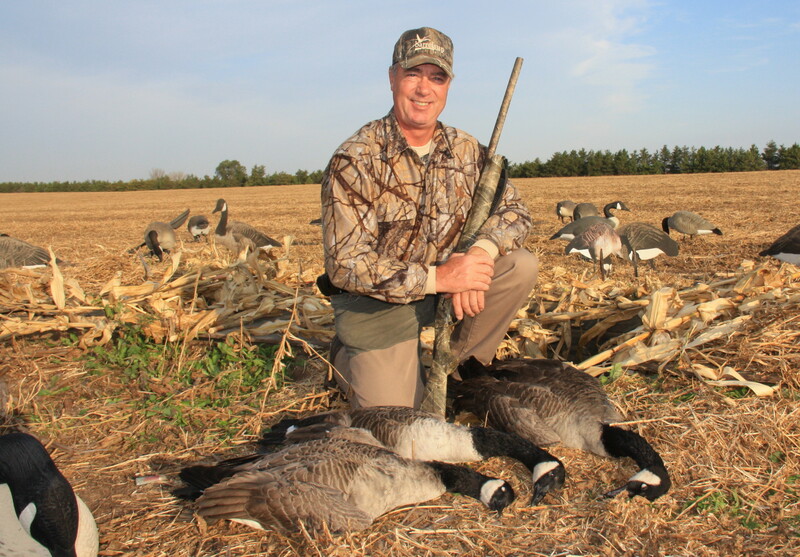 Since there are few things I enjoy as much as Canada goose hunting, I arranged my schedule to accommodate the offer. In making the final preparations, I was told I didn’t have to bring my layout blind as we would be hunting from a pit. That was good news. I have hunted out of pits before and have found them to be a very efficient means of concealment. Darkness still gripped the world as we drove across the bean stubble to the pit. I could see at once that it was a well devised contraption. The sides were lined with tongue and groove and there was sitting room for three or four hunters. The pit lay east and west which meant the best hunting winds would be from the north or south. Our wind was from the east so Corrigan and I made an adjustment to our spread. Instead of making the normal “U” shaped pattern we did a modified “J” with the birds approaching left to right in front of us. The first birds of the day slid off to our west and never really gave us a look. However, the single that followed this flock was more than willing. It was a gravy shot. A short time later, we had a group of a dozen swing through the decoys. The targets weren’t great, but we did manage to pull one bird out of the flock. And then the wait began. We watched several distant flocks settle into fields but could not get anything else to give us a look. Finally, a fair sized number of birds appeared on the horizon and headed our way. As is often the case, most of the birds bypassed our setup to look at something else. However, there were five that peeled out to take a closer look. One came right in and we let it land. The other four were less certain about the situation, but once their buddy was on the ground, they didn’t want to be left behind. It is funny how quickly it can be over. One moment you are four birds short of a limit and the next you are casing your shotgun. Pit hunting definitely has some advantages over other means of concealment. Pressured birds get wary of the layout blind profile and learn to avoid them. These same birds that want nothing to do with layout blinds will not hesitate to come into a spread when hunters are concealed in a pit. There are problems associated with pit hunting. The inability to move the pit according to the wind is an issue. Instead, hunters need to vary their spread to accommodate the wind direction. Brian Corrigan with his limit of pit blind geese. Pits are not mobile. You can’t pick up a pit and move it to a different field. Nor can you easily convince a land owner to let you dig one. Unless it is someone you know really well, pits will not be allowed. Occasionally, I have had been able to reduce the layout blind profile by digging a shallow trench for the blind. It doesn’t take much to alter the look and improve your chances. Using very low profile blinds will also help. Geese get wary after being heavily hunted. They definitely learn what layout blinds are all about and stay away from them. However, pits allow a different approach that can improve late season success. 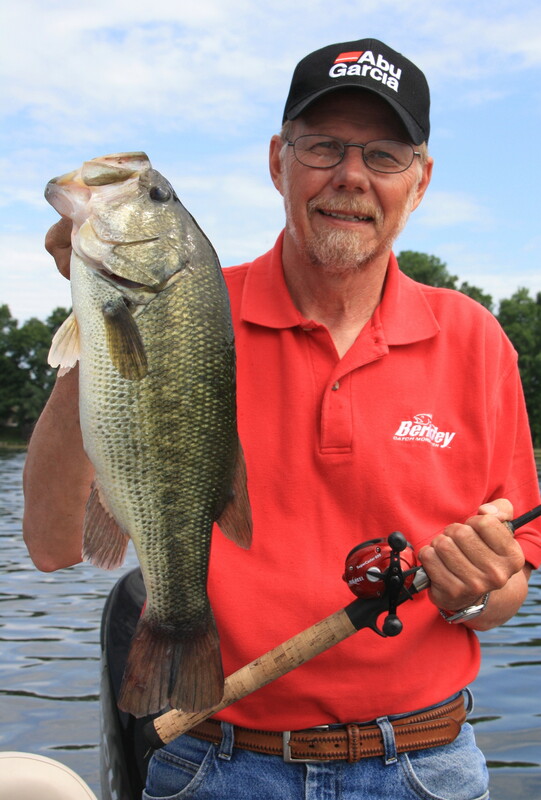 Crankbaits and swimbaits can be ideal for early season game fish. I am not exactly sure when I first started to realize that crankbaits and swimbaits are pretty good lures for early season game fish. What I do know is I never seem to use them often enough. If I am going walleye fishing, my favorite early season presentation is definitely a live bait rig and shiner minnow. I have lots of faith in this combination and it usually does not let me down. However, I use the word “usually” because this presentation is not foolproof. It was just last spring when I found myself at a loss over what to do next. I had worked several of my early season walleye hangouts with live bait rigs and had yet to boat a walleye or any other fish for that matter. Something was wrong. The hours I had available were ticking away and I knew I had to do something different. Instead of continuing to work the depths, I pulled out a box of crankbaits and headed for the shallow food flats. Over the years, I have had pretty consistent success working the shallow flats during the low light periods of the day. However, my mid day success has been somewhat limited. Still, if the fish weren’t deep, they had to be somewhere. I was only a few casts into the tactic switch when I had my first hit. The fish turned out to be a northern and not a walleye, but I was encouraged and figured the walleye had to be somewhere close by. I caught several more northern before I hit my first walleye of the day. It wasn’t a monster but I was moving in the right direction. Crankbaits in the shallows were producing action. It was early June and I decided to make a short run to a nearby lake. The weeds were coming up nicely and the bass were moving out of the shallows to some of the mid-depth weed structure. It seemed like a perfect day to experiment with some cast and retrieve lures. It was a Mimic Minnow that got the morning started. This swimbait with its paddle tail drew lots of attention. Largemouth bass and northern kept me adequately entertained. There are a lot of combinations on the store shelves that will produce action during this early season period. Flicker Shads, Salmo Hornets and Mimic Minnows are some of my favorites. Depending on my mood and size of the lure, I will use both baitcasting rigs and spinning reels. Spinning combos are usually hard to beat. 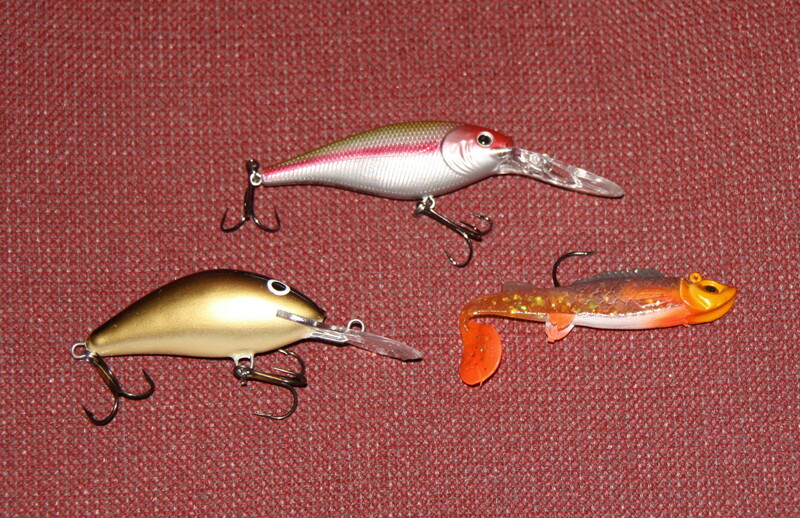 Berkley's Flicker Shad, Salmo's Hornet and Northland's Mimic Minnow are all quality baits for most game fish species. Because this shallow presentation attracts a variety of fish species, a person can never be sure what will hit next. For this reason I frequently utilize a short, very lightweight, black steel leader. It doesn’t interfere much with the catching ability of my lures, but it sure does save on losing them to toothy critters. The retrieve can also be important. There are times when I will use a straight retrieve, but I usually find myself varying the speed a little. If the weeds aren’t too thick, a dead stop once in a while doesn’t hurt, either. Like everyone else, I have my favorite methods and presentations for fishing. However, I keep learning the lesson that crankbaits and swimbaits are effective game fish options that we sometimes forget to use. A couple of geese shot over a mixed spread of lessers and standard decoys. I am sure there are plenty of Canada goose hunters that are in a similar position to mine. They have the desire to occasionally work with a big spread but just don’t have the carrying capacity to handle a heavy load. For example, my goose trailer is not really a goose trailer. It is my four-wheeler trailer with sides and a canvas top. It is less than ideal in some ways but certainly fits my storage issues and gets the job done. There are days when even my makeshift goose trailer is more than I want to haul around. This is especially true if I am hunting by myself or if the fields are so wet that I am afraid of getting stuck. When this happens, I am forced to use the decoys I can carry in the back of my truck. If I am stuffing full body, feet attached decoys in the back, I won’t be taking many along. However, if I am smart and incorporating lesser Canadas into the spread, it is a whole different story. My first lesser geese were added to the collection a number of years ago. It was shortly after the fully flocked decoys hit the market and I felt inclined to give them a try. I was also intrigued by the size of the lesser Canada decoys and thought a mix might be nice. The first half dozen ended up right in front of the blinds in the landing pocket. They worked so well that the next season I was in the market for some more. After shopping around for fully flocked lessers I settled on Dakota Decoys (available from barrelsup.com). 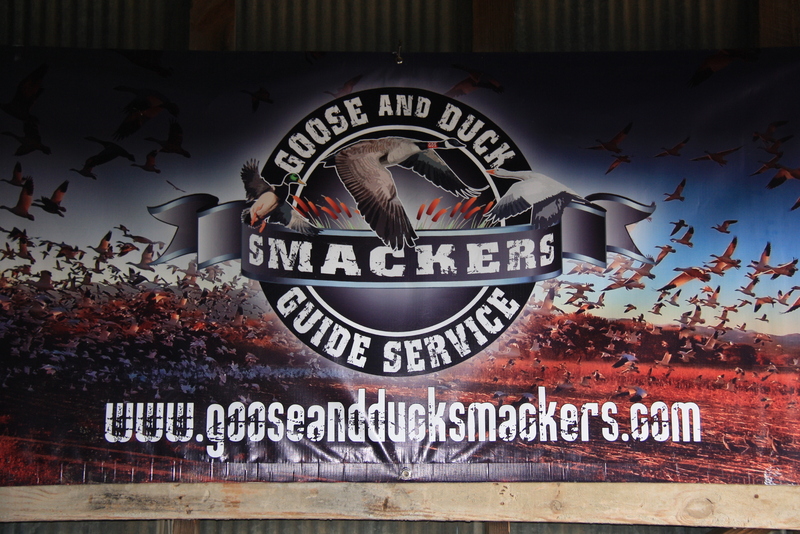 In an effort to learn more about the use of lesser geese mixed in with standard Canadas, I talked with Brain Cahalan from Goose and Duck Smackers Guide Service. Cahalan has been in the guide business for nine years and has a lot more knowledge about the mix of big and little geese than I do. Although Cahalan utilizes lessers all fall, he really likes them for the early season hunt. During this time, young geese are considerably smaller than the mature adults. 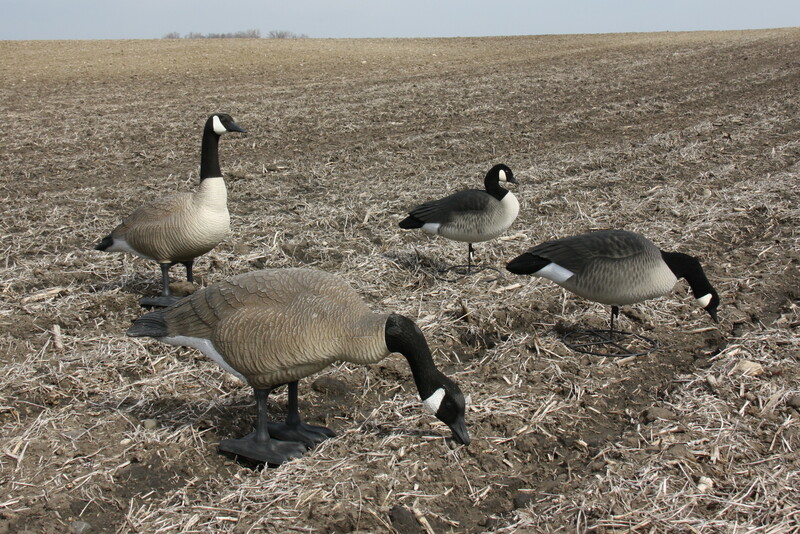 By mixing the lessers in with the standard full bodies, he is able to create a situation where the small decoys and big decoys look like normal family groupings. Cahalan also likes them later in the season. He feels that lessers, EPP birds and larger resident Canadas are all around at the same time. A mix of sizes in the spread duplicates what is happening in the real world. In addition to the natural look lessers give a set, Cahalan mentioned that they move on motion stakes more easily than larger, heavier decoys. The compact storage feature of lessers was also appreciated by Cahalan. Even guides have space issues to deal with. Mixing lessers and standard decoys together gives a spread a very natural look. thoughts to share about lesser decoys. Allen said in the past year there has been an increase in the number of lesser decoys they have been selling. He felt hunters were learning that lessers not only solved storage issues, they actually enhanced the spread. Throughout the season, I continue to put the bulk of my fully flocked lessers close to the blinds. These are the decoys that the incoming geese are concentrating on and the ones that will reduce the concern over the unusual appearance of the layout blinds. I want the landing zone to look as inviting as possible. In short, lesser decoys have proven to add to my goose hunting success. They allow for greater flexibility when fighting storage issues and also create a very realistic appearance in my spread. In other words, lessers can mean more. Finding the right pocket in the weeds can often produce some pretty impressive numbers for early season largemouths. It was one of those perfect mornings. The wind was calm, the temperature was cool but comfortable and the bass season was open. The table was set for a great day on the water. The only thing left was to feed these bruisers some steel! My fishing partner, Duane Osgood and I, have spent quite a number of hours together in a boat. 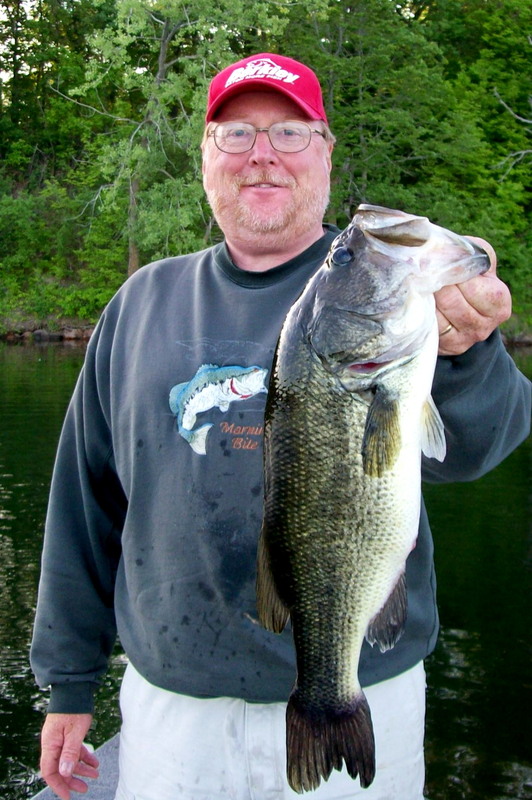 We both relish the shallow water fishing that is associated with early season bass angling and usually put together an impressive catch during our outings. Although we were not the first ones at the landing on this perfect bass fishing day, we were the first ones down an undeveloped shoreline on this noted bass lake. We were moving slowly to make sure we were hitting the open pockets on the inside weed line and were picking up a fish here and there. I remember seeing the change in the weed structure while we were still some distance off. From what we could tell, there appeared to be short stretch of water where the weeds were not growing. This pocket held promise. Osgood was the first to toss a chunk of plastic into the opening. 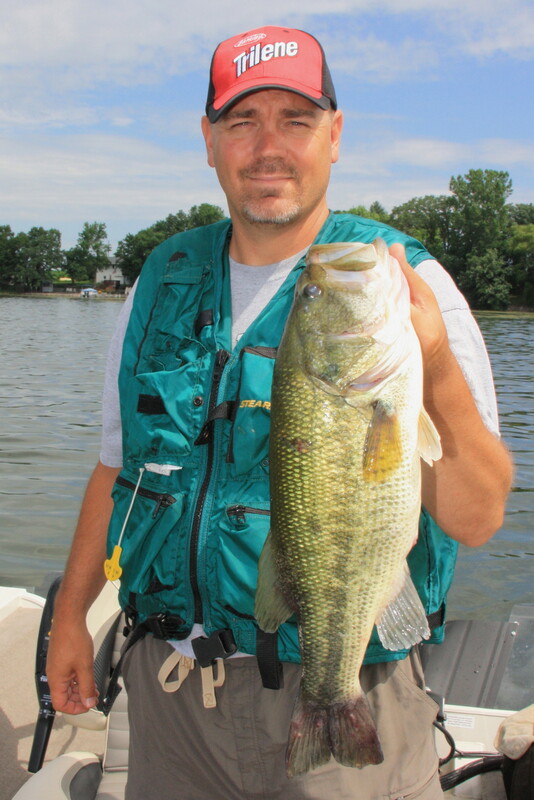 Almost instantly, his PowerBait worm was inhaled by a giant largemouth. I quickly followed with a wacky rigged worm and also hit pay dirt. The next hour was undoubtedly the best hour of bass fishing I have ever experienced. We caught a fish on nearly every single cast and most fish were 18 inches or larger. There were so many big bass in this small area there was little room left over for the water. Eventually, the incredible bite ended and we were forced to continue up the shoreline. Although we still managed to catch scattered fish, it did not compare to the school we had worked over in the weed pocket. As is usually the case, there were a couple of lessons to learn from this outing. The first lesson has to do with the inside weed line. This is often an ignored transition area that is found on many lakes. Because the inside weed line is associated with shallow water, many anglers do not pay enough attention to this location. A second lesson that came from this outing was the need to fish irregularities and pockets in the weeds. Many times, the inside weed line is shallow enough that it is possible to actually see the edge. The subtle points and dips in the weeds will often hold fish. It is also important to have a variety of rigs primed and ready to go. I always have a wacky rigged rod and a Texas rigged plastic worm at my disposal. 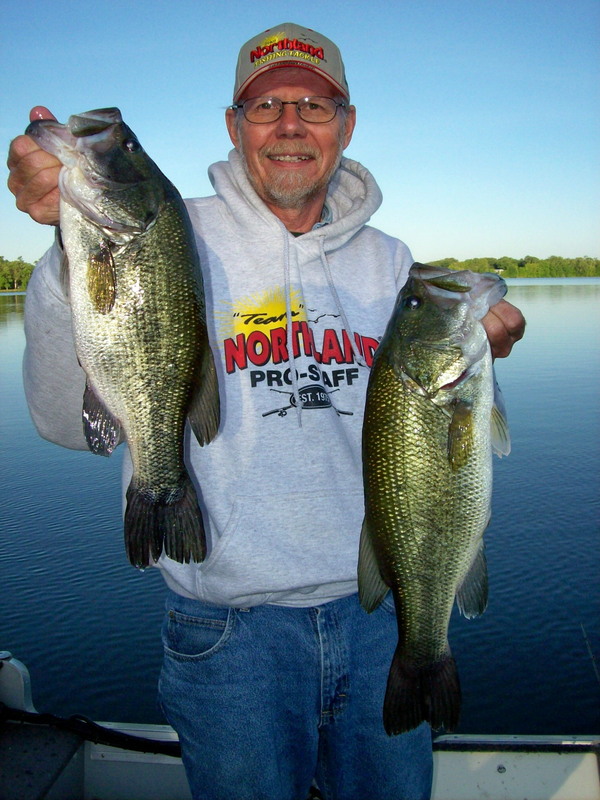 In addition to that, I have great success with the Northland Lip-Stick jig fished as a jig-worm combo. The bait holding collar on this jig makes it superior to others on the market. Duare Osgood holds one of the many big bruisers we caught. Twitch baits are also necessary for this early season shallow water bite. Osgood has given me a number of lessons on how to entice bass with a shallow running crankbait that is twitched on the retrieve. Being able to cope with the weeds is often a concept that needs to be considered when rigging rods. Lure options must be compatible with working through and over the greenery. Bass love the shallows for the first couple weeks of the season. Focusing your efforts on pockets and edges in good cover can definitely pay big dividends.